Oprah Winfrey is giving "Greenleaf" her seal of approval, in a way that few billionaire show business moguls can. Winfrey appears in a supporting role in the new family drama, which airs on the Oprah Winfrey Network. Her presence helps the series stand out in a sea of cable shows. Her role is relatively minor. Winfrey plays the aunt of the prodigal daughter who returns to her family's Memphis mega-church. It's a big-money enterprise presided over by her father, the Bishop (Keith David), and mother (Lynn Whitfield), surrounded by intrigue, adultery, and even a suspicious death. Still, Winfrey's mere presence sends a signal about the project's importance to OWN, a network that experienced early growing pains and has found its niche, albeit by introducing some programs that would appear to depart from the elevated niche to which its guiding force aspires. After her enormous success in daytime talk, Winfrey earned a reputation for pushing good-for-you programming that some labeled "broccoli TV." But without her as an on-air personality, OWN struggled to sell viewers on that "live your best life" mantra, and looked like a potential financial albatross for Winfrey's partner in the venture, Discovery Networks. Improvement came from unscripted franchises like "Super Soul Sunday," but also by turning to theatrical hit-maker Tyler Perry. One of his four OWN shows, "The Haves and the Have Nots," returns beginning June 21, ostensibly to help introduce "Greenleaf" to viewers. Critics have generally derided Perry's shows, but his loyal fan base has helped OWN build its ratings. The network averaged almost 490,000 primetime viewers in calendar-year 2015, a 13% increase. Despite initial misgivings, Winfrey has steadfastly defended Perry's shows. Nevertheless, the channel seems eager to broaden that footprint, not just with "Greenleaf." Among its upcoming projects is "Queen Sugar," a series adapted from Natalie Baszile's novel about a sugar cane farm. Winfrey will produce with "Selma" director Ava DuVernay, and women will direct all the episodes. Creatively speaking, "Greenleaf" doesn't turn over many new ones. And the show could alienate some viewers with its jaundiced view of this church, whose leading family engages in plenty of questionable behavior despite the outward appearance of piety. In an interview with CNN, OWN president Erik Logan said the church "serves as the backdrop for the family drama," while exploring an arena that hasn't been presented on TV. While he said the Perry shows have delivered for OWN, Logan called the new dramas "a continued evolution of what we set out to do." Winfrey continues to champion projects of significance to her. Last October, OWN presented "Belief," a seven-part documentary about various forms of faith and religion. In voiceover, Winfrey introduced each episode by saying, "My confidence comes from knowing there is a force, a power, greater than myself, that I'm a part of, and that is also a part of me." Logan -- who became OWN's sole president in May, with the departure of longtime Winfrey collaborator Sheri Salata -- admits that like many other networks, the company didn't so much chart a direct programming course as gradually adapt into one. The popularity of Perry's shows among African-American viewers, along with the success of Fox's "Empire," has also inspired producers to seek ways to expand on those opportunities. For a cable network to find its footing, Logan said, "The programming is going to lead you there, and you see what the audience reacts to." In other words, when programming a network, the higher power that even Oprah answers to is the audience. 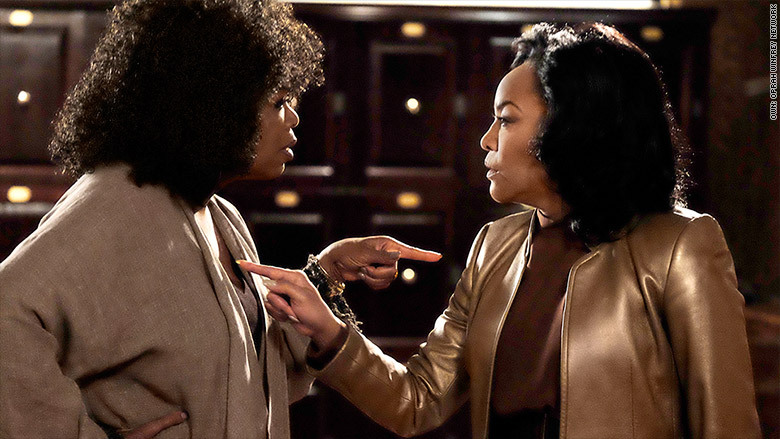 "Greenleaf" premieres June 21 on OWN.